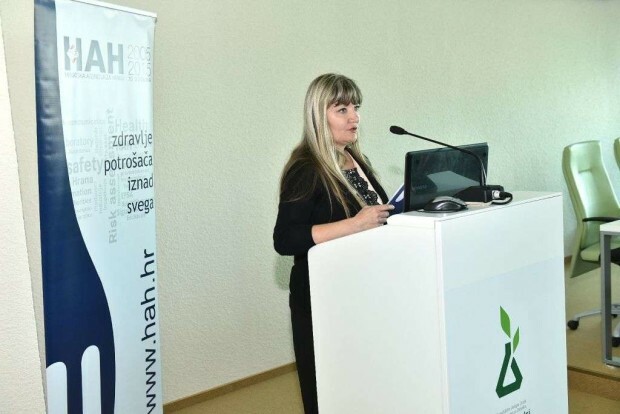 The Croatian Food Agency (HAH) and the Food and Agriculture Organization of the United Nations (FAO) organized, on 14 October 2016, an international conference entitled „Climate is changing. Food and agriculture must too.“ to mark the World Food Day. 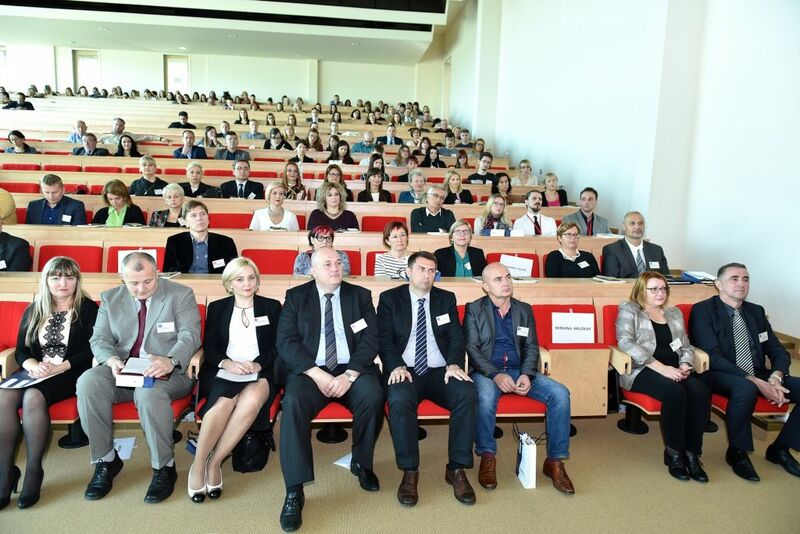 The conference was organized under the high auspices of Kolinda Grabar Kitarović, the President of the Republic of Croatia, and under the patronage of the Ministry of Agriculture, Ministry of Health and Ministry of Environmental and Nature Protection of the Republic of Croatia. An excellent turnout and diversity of participants attested the importance of this year’s theme of the conference. 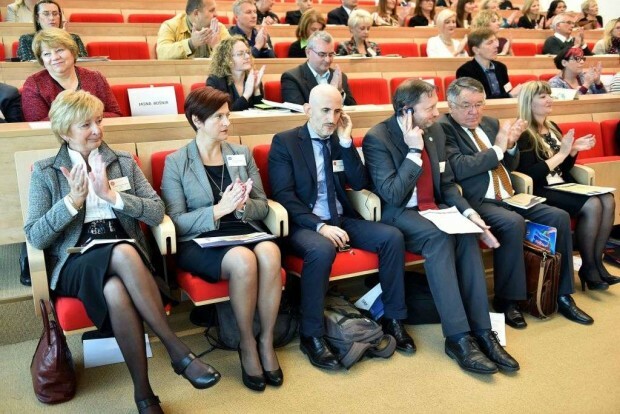 „This international conference brought together about 200 representatives of the national and international scientific community, competent authorities, industry and consumers ́ organizations, united in common desire to approach issue of the impact of climate change on agriculture and food security systematically, timely and with gravity which it really requires“, said in her opening word Director of Croatian Food Agency, Andrea Gross Bošković. 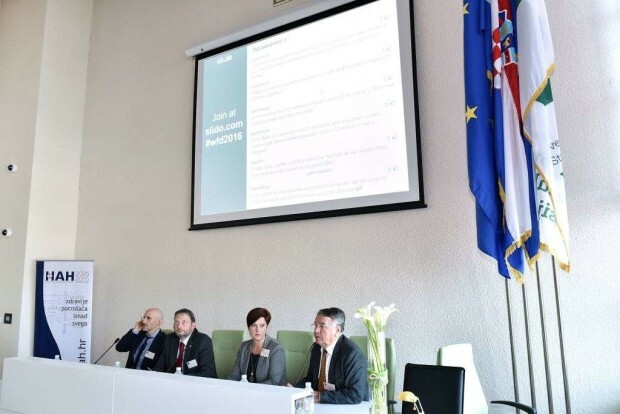 In the opening part the audience was welcomed and addressed also by Denis Ambruš, Deputy Major of City of Osijek, Željko Kraljičak, Deputy County Prefect of the Osijek-Baranja County, Reuben Sessa, representative of the FAO, Ružica Palić Kramarić, Assistant Minister, Ministry of Health, and Tomislav Kiš, Assistant Minister, Ministry of Agriculture of the Republic of Croatia. The first part of the plenary sessions was opened with a presentation entitled „Climate smart agriculture – Sustainable development in a changing climate“. This type of agriculture, supported by FAO itself, was presented by D.Sc. Reuben Sessa, Climate Change and Energy Coordinator for Europe and Central Asia at FAO and the envoy of FAO Director-General. 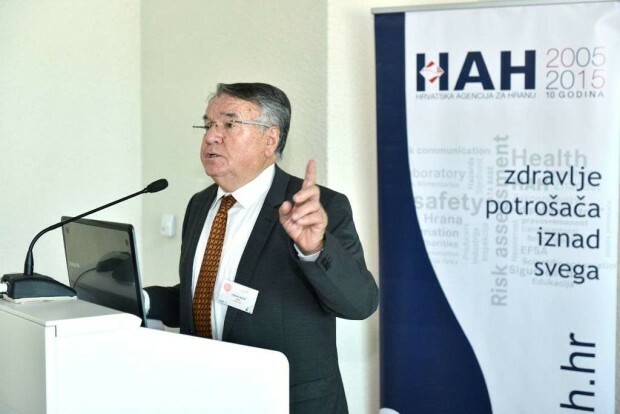 Angelo Maggiore, Scientific Officer in the Scientific Committee and Emerging Risks Unit of the European Food Safety Authority (EFSA), talked about climate change as a potential driver of emerging risks for food safety through the activities of EFSA. 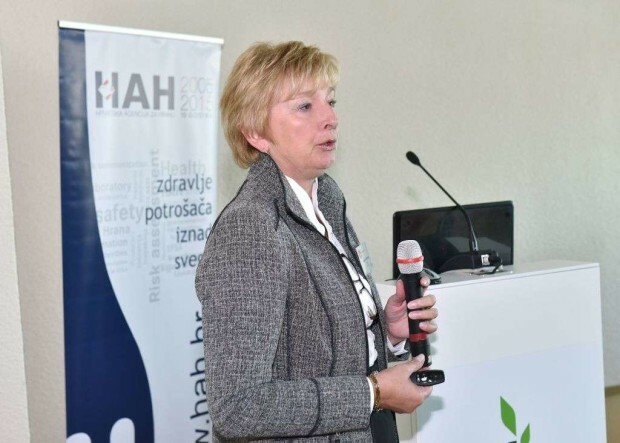 This part of the plenary session was closed with presentation „Climate changes and mycotoxins – A challenge in creating policy and legislation“ by Ana Marija Crnić, Head of State and Border Sanitary Inspection Sector at Ministry of Health. According to the programme, first part of the conference was followed by discussion and questions of the participants. 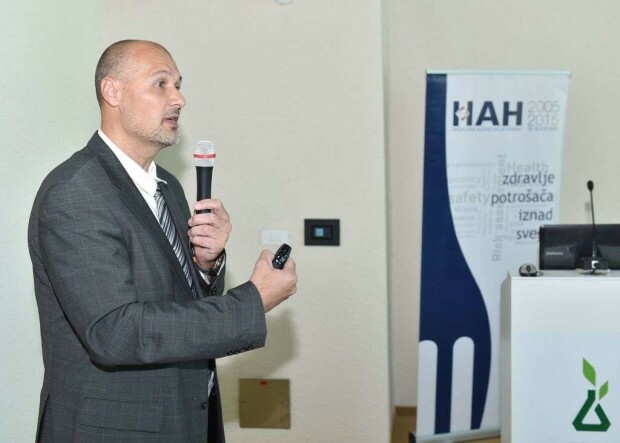 Presentations and discussion were moderated by Vlatka Buzjak from the Croatian Food Agency. After the break, the second part of the plenary session was opened by Žana Počuča, Senior Expert Adviser at Directorate for Climate Activities, Sustainable Development and Protection of Soil, Air and Sea, Ministry of Environmental and Nature Protection, who informed the audience of activities on the European and national level in terms of adaptation to climate changes. 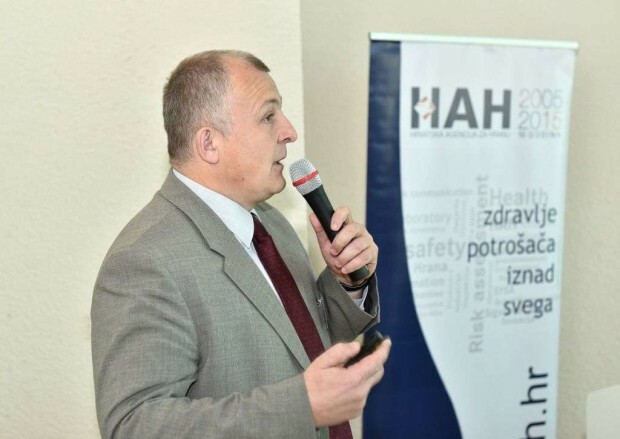 Very interesting presentation entitled „The role of the meteorological service in adapting agricultural production to climate changes and weather extremes“ was delivered by famous meteorologist and Assistant Director at Meteorological and Hydrological Service, Republic of Croatia, D.Sc. Branka Ivančan Picek. 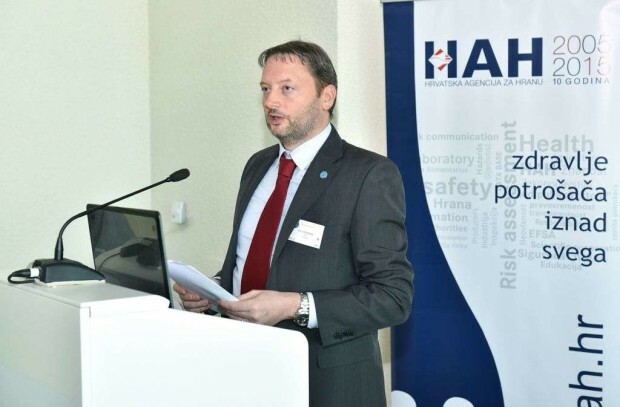 The next presentation, „Health and economical consequences of vector-borne diseases – The impact of climate changes?“ was delivered by Tomislav Kiš, Assistant Minister, Ministry of Agriculture. He presented how climate change and the intensification of trade significantly increase the incidence of vector-borne diseases. Prof. D.Sc. 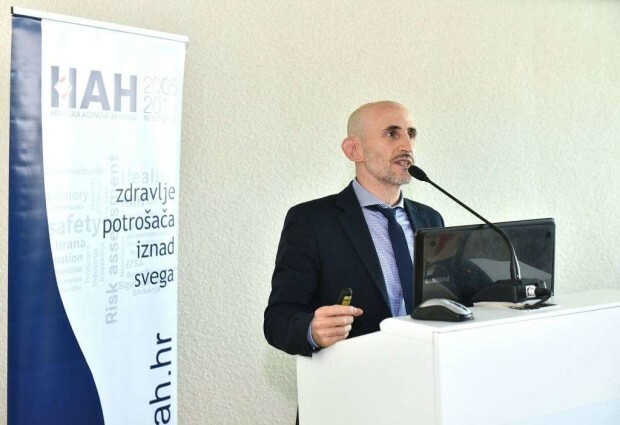 Danijel Jug delivered the presentation „Adapting agriculture to climate change – What should be done?“. He once again pointed out that to deal with climate change, we firstly must change our attitude towards agricultural production, in order to reduce the negative impacts of agriculture on the environment, and that for successful adaptation to climate change is necessary to act together. 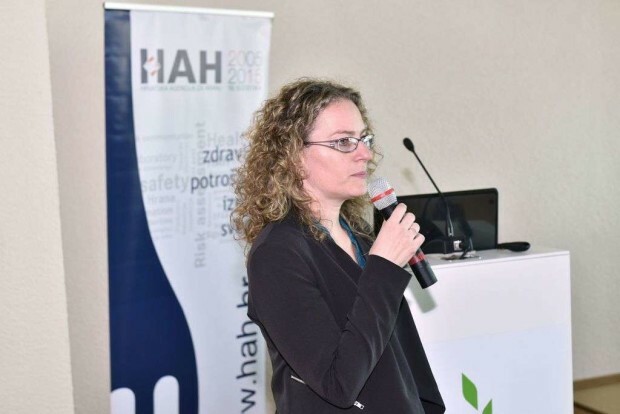 At the end of the second part of the plenary sessions, Andrea Gross Bošković, Director of Croatian Food Agency, informed the audience of edible insects as food and feed for nutrition. Since the trend of a lack of food in the world is growing inexorably, the possibility of using edible insects as a new source of food for humans and animals must be considered. 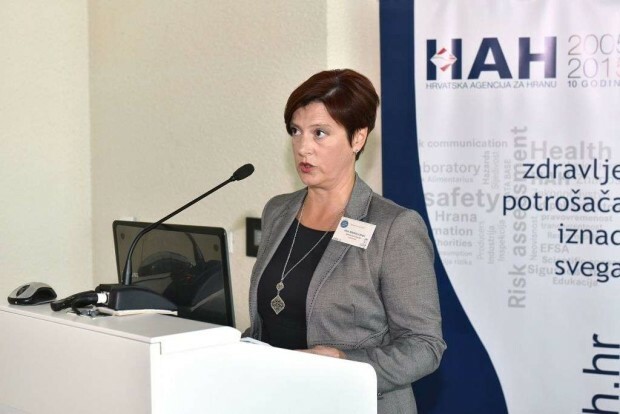 The second part of the conference was closed by discussion and questions of participants, which were moderated by Danijela Stražanac from the Croatian Food Agency. In the concluding remarks, it was pointed out that the unpredictable weather conditions and increased outbreaks of various food-borne diseases, caused by mycotoxins and other contaminants, adversely affect agricultural productivity and disrupt global availability of safe food. Since the impact of climate change on agriculture and food safety represents a multidisciplinary problem, joint actions of the whole society are necessary as soon as possible. 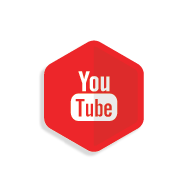 As an introduction to the conference, on October 13th, 2016, in Urania Cinema in Osijek, was held free screening of the documentary “10 Billion – what’s on your plate?”, in front of around 150 spectators. This documentary speaks boldly and openly about the increasing problem of lack of food in the world, and bring into question what kind of food will we actually eat when the world population grows to ten billion people.